Jerez. World famous for its fine sherry, equestrian art and of course, Spanish flamenco. But you’d be wrong in thinking that’s all it has to offer. It also happens to be the location of one of best golf resorts in the the south of Spain. 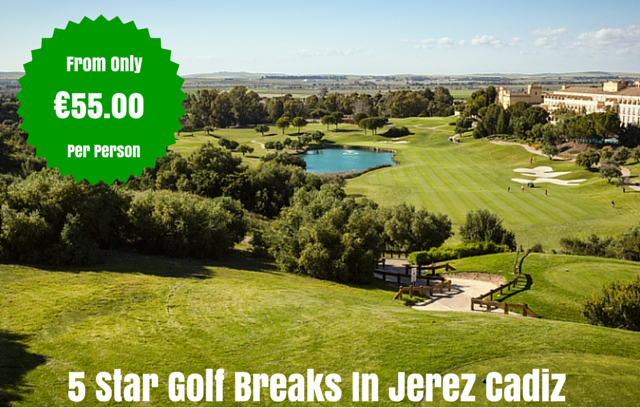 The Barceló Montecastillo golf resort and hotel is one of the regions most prestigious venues and offers golfers unrivalled accommodation, golf, sports and spa facilities. Starting from just €55.00 per night, you could be enjoying a night or two (or more) in one of the finest hotels and golf resorts in the whole of Spain this Spring. 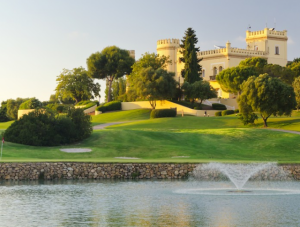 If you’re looking for a golfing break where you can soak up the warm Spanish sunshine, enjoy a cold sangria while overlooking some stunning golf landscapes and scenery, then this deal is most definitely for you. How does UNLIMITED golf at a Jack Nicklaus designed golf course sound? That’s right! From only €55.00 per night, you could be enjoying 5 star luxury accommodation, breakfast and as many rounds of golf as you like. Offer is limited to the month’s of February, March and April 2015. *** Please note that demand is always great for these kind of offers, so please book early to avoid any disappointment. The Barceló Montecastillo was actually a former 19th Century castle, but has since been renovated and turned into a plush and exquisite 5 star hotel and golf resort. In fact, the hotel is of such a high standard that TripAdvisor recently awarded it their Certificate of Excellence for the third year running. The hotel and resort are just 10 minutes from Jerez airport (La Parra) and one hour from Seville airport (San Pablo) which are serviced from all the major airports in the UK.